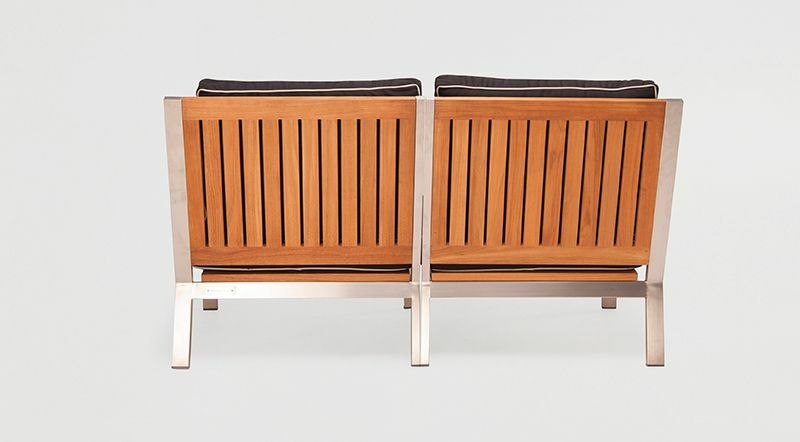 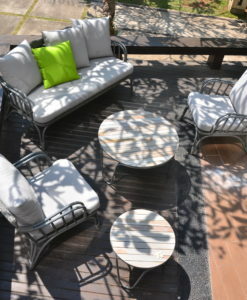 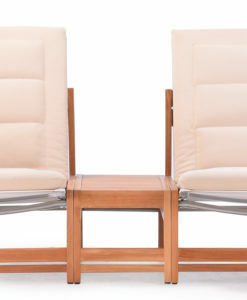 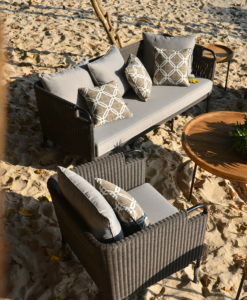 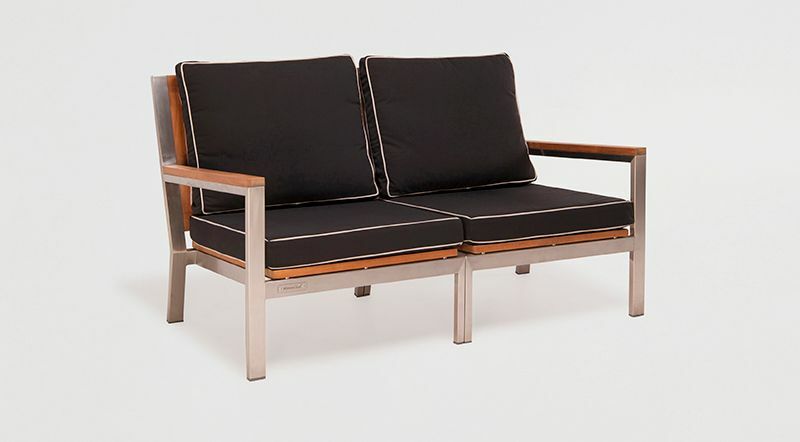 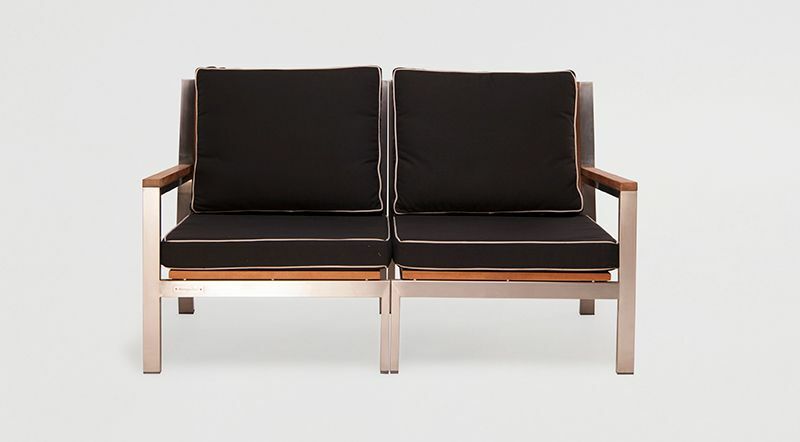 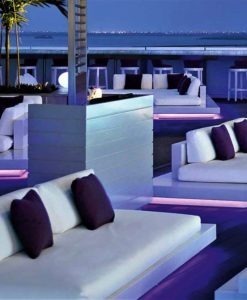 Combining timber teak and stainless steel, often a piece is cluttered with metal bracket, support bar and screws, which are visible behind the backrest and or on the side/underneath the seats. 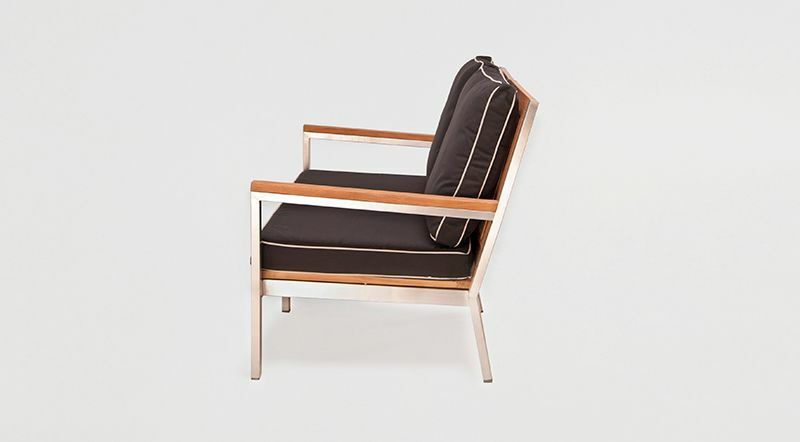 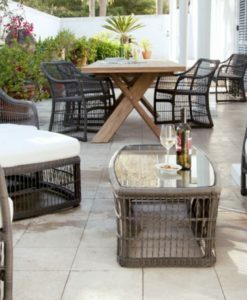 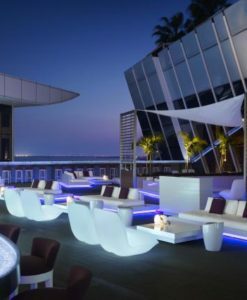 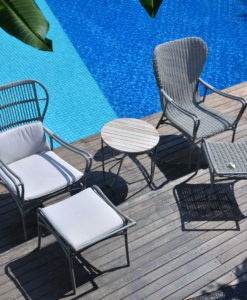 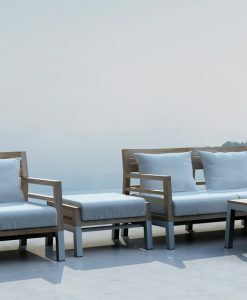 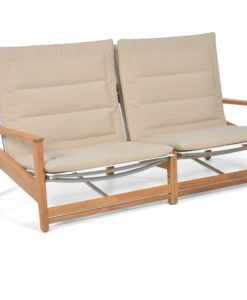 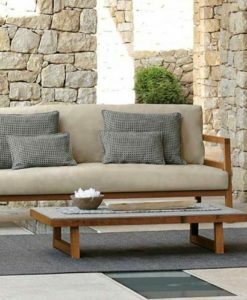 For the Bista collection the seats and backrests are assembled and slide into the metal bracket discretely confined inside the teak component. 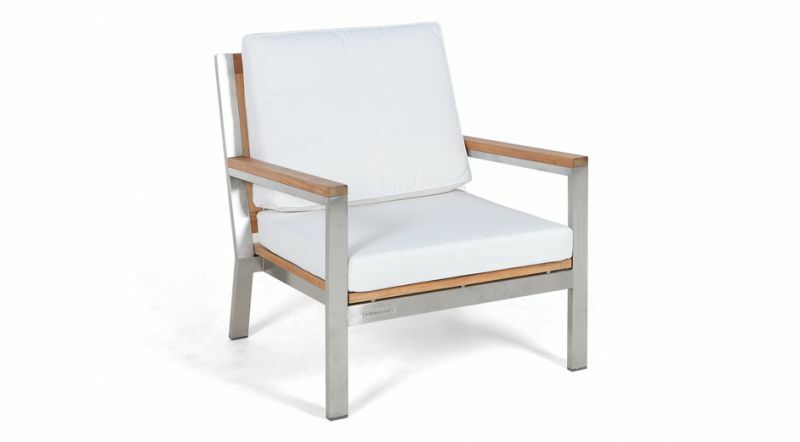 The design remains clean, crisp, and modern, seamlessly blending teak and stainless steel. 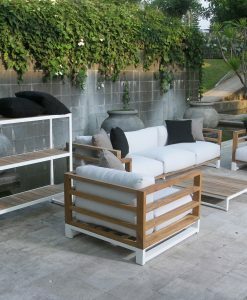 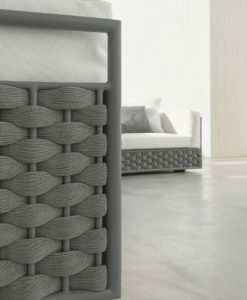 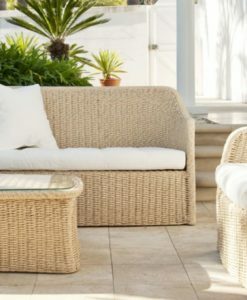 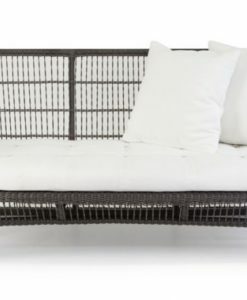 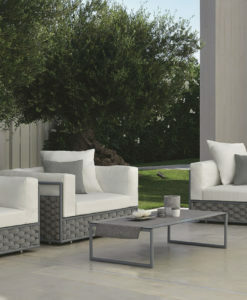 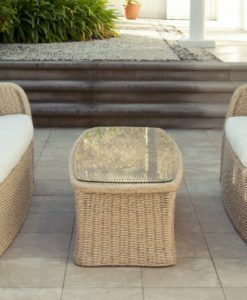 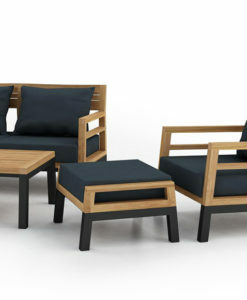 This collection is perfect for terraces and small spaces. 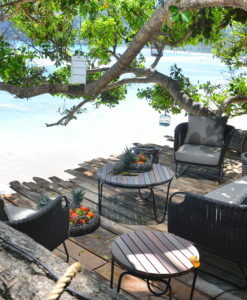 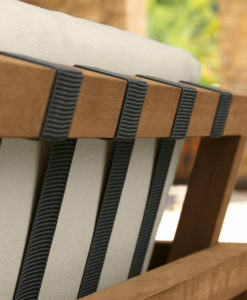 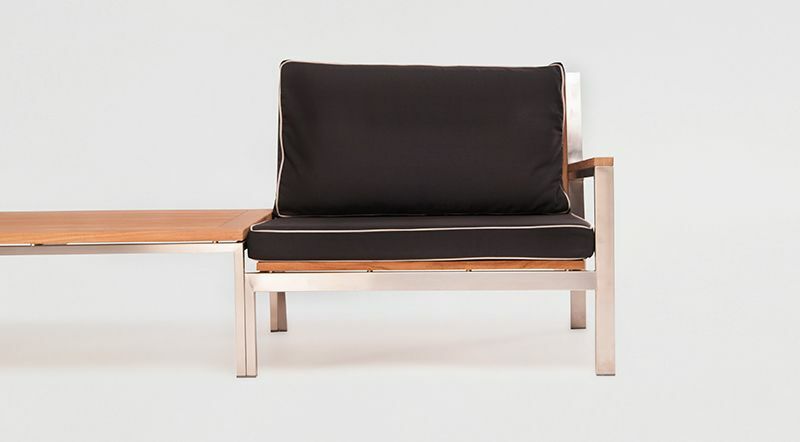 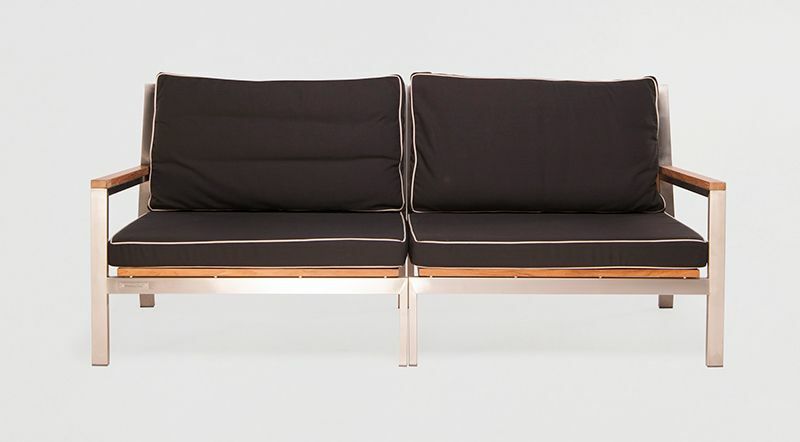 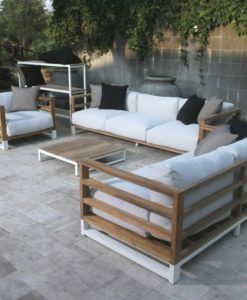 Stainless Steel, A-grade Teak and QuickDry foam + outdoor cushion.